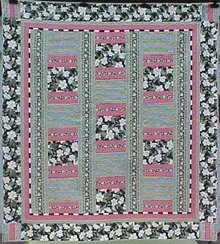 Offering this wonderful bright quilt, designed pieced and quilted in my shop by me in Caldwell Ohio - USA. 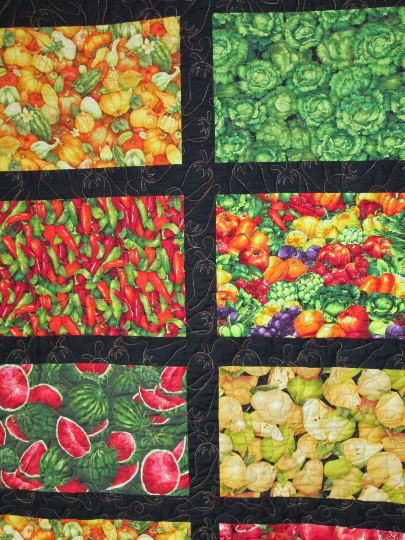 Titled "To Market To Market" - pattern is large rectangular pieces Farmer John's Marketplace fabrics made of colorful detailed prints including lettuce, garlic, squash, pears, watermelon, hot chili peppers, broccoli, cauliflower, pomegranats. 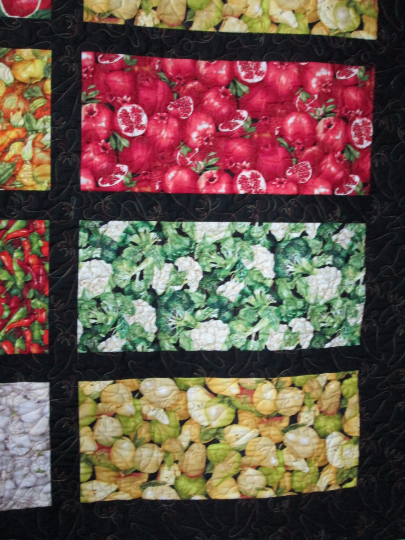 grapes, and much more! Sashed and bordered with rich black fabric. 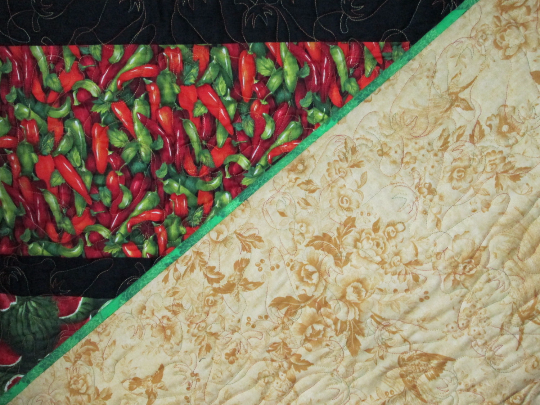 All over machine quilted pattern of chili peppers in a variegated thread of gold, orange, green, and red @ 12 stitches per inch. 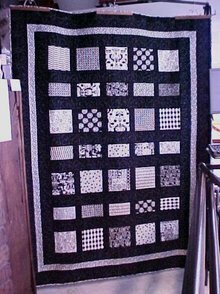 Quilt measures 74" x 84" - a nice twin or full bed size; also comes with a hanging sleeve to display on a wall. 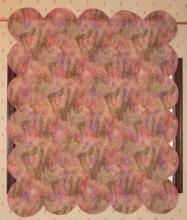 Fabrics and threads are high quality. 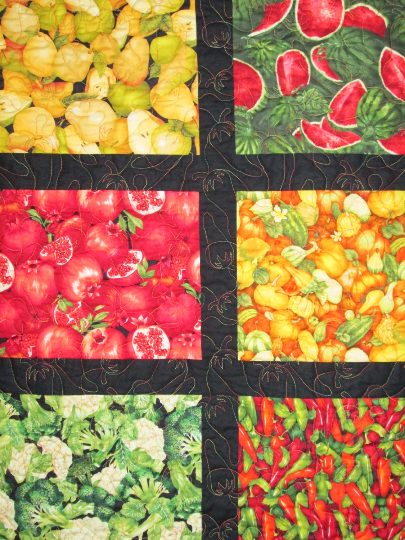 A wonderful colorful quilt to fit any décor! International shipping can be calculated upon request. 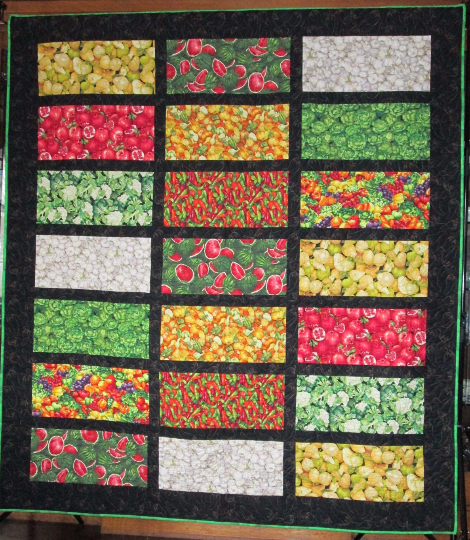 Items Similar To "Quilt Vegetables Fruits To Market To Market 74 x 84"